Lacoste Sale is now on with up to 30% off mens fashion and footwear! Creators of the world's first ever polo shirt, Lacoste has a rich heritage. Founded by tennis champion RenÃ© Lacoste, the label's sporty roots can still be seen today, but it has also produced inspired pieces that have simply wowed on catwalks the world over. Whatever the occasion, Lacoste has something up its well-tailored sleeve to suit. From formal shirts to cool casual wear, the brand with the iconic green crocodile has it covered. What's more, the label is big on colours so, unlike some of its competitors, its products are offered to suit every taste. On top of classic and cool clothing, Lacoste also leads the way in the fragrance market and even produces products for the home. Add Lacoste to your Favourites list and be the first to know every time they have a Sale on! 1st January 2018 - Lacoste New Years Day sales for 2018. 7th May 2018 - Lacoste Early May Bank Holiday sales for 2018, add to your diary now! July 2018 - Lacoste Summer 2018 sales, joining us? 23rd November 2018 - Lacoste Black Friday sales in 2018 start on Friday 24th November. 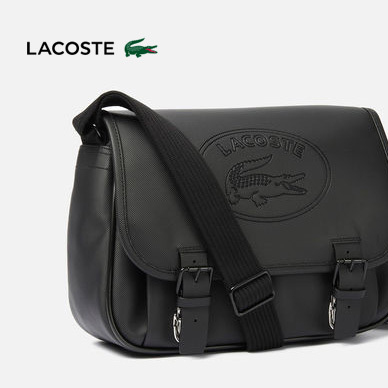 Add products from Lacoste to your Love Sales list. Get the Love Sales button now! Lacoste January Sale is now on with up to 30% off mens fashion and footwear! Lacoste Boxing Day sale is now on with up to 30% off mens fashion and footwear! Lacoste Cyber Monday Event is now on with savings across men, womens and childrens clothing! Shop for the whole family! Lacoste Black Friday Event is now on with savings across men, womens and childrens clothing! Shop for the whole family! Lacoste January 50% off sale across, men, Women and kids! Its perfect to shop for the whole family!